It was a night of family, friends and community. 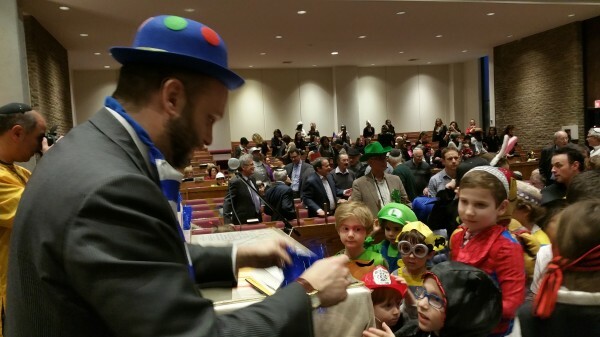 Our recent Purim extravaganza on Wednesday night was a night to be remembered. We had over 700 people attending, including 200 children who came to our youth carnival!!. It was a night where all of us celebrated together the miracle of Jewish survival - and we celebrated as a community. Once again, we had an amazing TBDJ event!! A big thank you goes to all of our generous sponsors (see full list below), and to Howie Steinberg for organizing all the sponsorships. Another thank you goes to our Youth Directors Jacob Shapiro and Zach Steinlauf for organizing our Youth carnival, along with Amiel Bender and Youth Chair Josh Orzech for their assistance. We look forward to seeing you at one of our exciting events in the near future!! Click to see all our Purim photos!